Outdoor Banner ads, Print ads, TV ads are the zones which are targeted by Telecom Operators to market their products. With the Explosion of web 2.0 and Social Networking, It has created a New Era of Social Media in the world of internet. 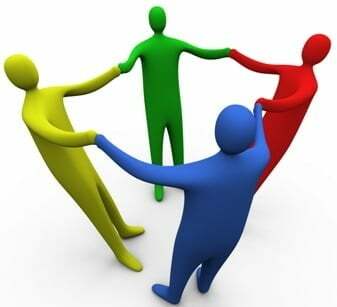 In this generation of Social Media, People hangout with Social Networking sites like Facebook, twitter, orkut and many. Interacting with People active on Internet has a huge Importance.Some of the Telecom Operators have got this point early and some still placing their baby steps in the world of social media. TelecomTalk tried to Survey the Presence of Operators in Popular Social Networking sites like Facebook and Twitter.Based on our Analysis, Vodafone has the Most Social Media Presence followed by Tata DOCOMO and Idea Cellular Network.It is Surprising to know that Biggies like Airtel and Reliance have least influence on Social Media followed by Uninor, Aircel, Tata Indicom. Vodafone’s Popular Zoozoos have the most influence on Social Media. The Zoozoo ads released by vodafone during the IPL season has got them millions of users more Than 600,000 People have liked the Vodafone’s Zoozoo page in facebook (subject to change). Vodafone has recently even entered the twitter buzz with @VodafoneIN.Serves its users listening to customers complaints and suggestions. In short you can term it as “Micro Customer Care”. @VodafoneIN has around 3400 followers almost nearing the 2000th tweet. Tata Docomo recently celebrated its 1st Birthday being crowned with many awards for their outstanding performance in telecom sector and being India’s fastest growing network, all most all its Promotion is made via Social Media before it goes on TV or other Media. Even Tata Docomo has a Huge FanFare on Facebook with over 150,000 Fans (Subject to Change) . Tata Docomo has organized some of the outstanding contests during IPL season sponsoring IPL Nights Party and has offered free tickets to its contest winners which drove its Users to Like the Tata Docomo Page on Facebook. Tata Docomo is Most Interactive on Twitter having over 8000 followers and 5500+ Tweets with the username @tatadocomo.Tata Docomo has Introduced Many hashtags like #iplnights #tdturns1 #GoalMania on twitter to keep their Fans updated with current events. 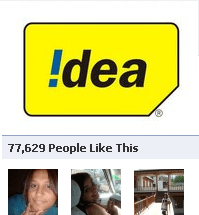 Idea stands Third in the Social Media Race with over 77,000 Likes on its Official Facebook Page. Idea has managed to attract its Fans with Campaigns by Abhishek Bachchan on Save Paper, Use Phone Concept and attracting users with Recent Movie “Raavan” Fame. Biggies like Bharti Airtel, Reliance, BSNL are not at all in the Picture of Social Media Presence all These Operators has less than 2000 fans on Facebook Pages (Nothing is Claimed as Official). Uninor, The Newbie in Indian Telecom, has worked out Social Media decently with over 2500 Facebook Likes and maintaining twitter account @uninor dedicated youtube channel for TV Commercials. Aircel though maintains a facebook page and has twitter account it’s reach to people is ordinary. Same with Tata Indicom Fan Page which has over 1000 Fans in Facebook as of now. Airtel, having learnt the Importance of Presence in Social Media has recently Joined Twitter with user name @Airtel_Presence, as the name suggests, may be it has entered social media only for making a presence and not actually caring its customers complaints. 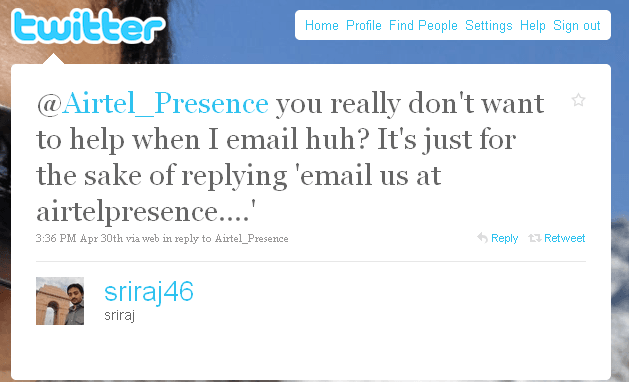 A twitter users mentions @Airtel_Presence with the following tweet which came under TelecomTalk’s notice. Having Said all these, Do not forget to Follow TelecomTalk’s Official Twitter account @telecomtalk and like us on facebook. We bring you lots of Live updates happening on web regarding Telecom just like we caught the below Status update on Facebook. Today is era of Social Networking, Some operators understand it that social space to the best way to cover youngsters. Most of youngster spent 2 or 3 hours daily at social space. So other operators must understand it and follow to DOCOMO and VODA.